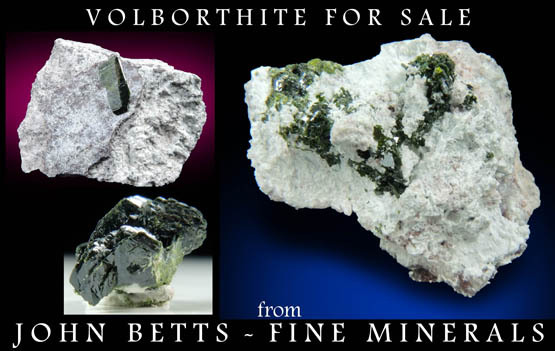 Description: Crust of yellow-green volborthite crystals coating one face of matrix. 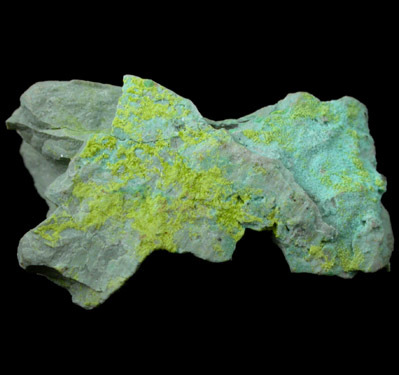 A second mineral (unidentified) is pale blue-green and may be chrysocolla. Looks attractive under magnification.